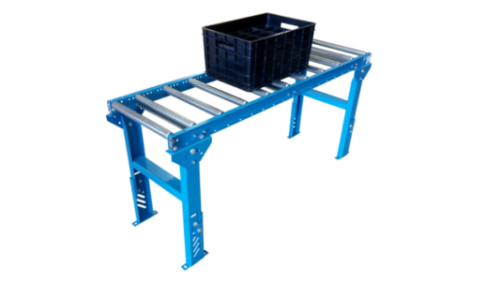 Ultimation’s light and medium duty gravity roller conveyor range has been dramatically expanded during 2016. 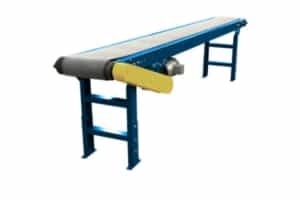 This range of ready to install conveyor equipment includes roller conveyors, belt conveyors, chain conveyors, conveyor rail (flowrail) and chain driven live roller conveyors (CDLR conveyors). Pricing for simple gravity roller conveyors is under $60 per 5 foot gravity roller conveyor sections. Ultimation’s product line up now matches competitors like Hytrol and Ashland across the entire conveyor range. Now that the range is expanded, Ultimation offers lower pricing than competition, with a manufacturer-direct sales channel and same day shipping for many items. As a result, this has enabled the company’s enormous growth in the gravity roller conveyor and belt conveyor segments. The product range includes more than 10,000 unique items. By using Ultimation’s common manufacturing architecture, many of the gravity conveyor products share common frame, leg and roller components. This enables the company to quickly ship the required items from the final assembly facilities. “Ultimation has been expanding quickly in this segment and we intend to continue the growth to cover the entire roller conveyor and belt conveyor market.” said CEO Jacqueline Canny. “Unlike our competitors, we don’t have distributors in each state or region so we are able to offer manufacturer-direct pricing and pass these savings along to our customers”.